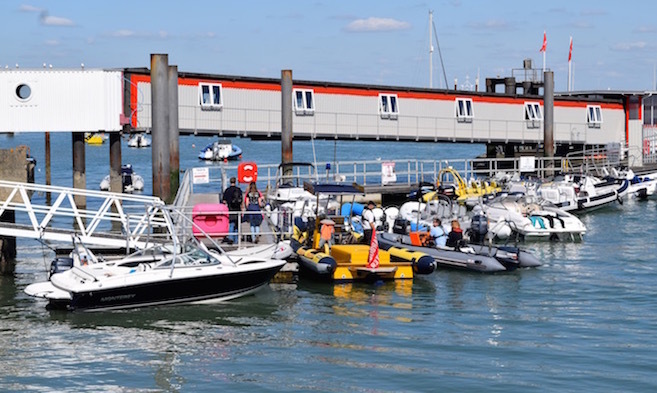 There are a number of slipways and public landings in Cowes and East Cowes for the launching and recovery of tenders and other small boats. 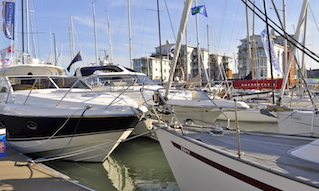 Trinity Landing, the fairway side of the pontoons can be used for pick up and drop off only, whilst the inside face is available for berthing. Town Quay, on pontoons alongside the Red Jet terminal provides berthing for vessels under 9m in length and predominantly RIBs and tenders. 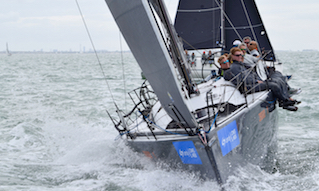 Town Quay offers instant access to Cowes High Street and associated amenities. 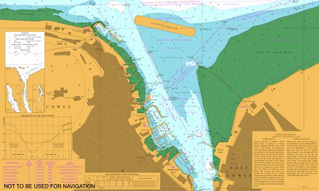 Whitegates pontoon, 500m south of the Cowes Chain Ferry on the west bank of the River Medina is connected to the shore and is suitable for tenders only. Thetis Slip, between Thetis Wharf and Shepards Wharf Marina. 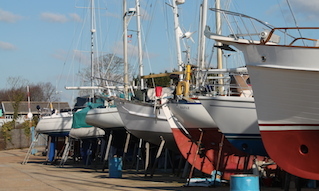 Suitable for small vessels but not at Low Water due to the short slipway. Sun Slip, off the High Street at the foot of Sun Hill, but it is not easily accessible. There is a similar slipway at the foot of Market Hill. Watch House Slip, at the end of Watch House Lane at the south end of The Parade. All state of tide access but be aware of a possible strong cross current from 2.5hrs before High Water to Low Water. The Folly Slip, further up the River Medina, towards Newport. Be aware of a possible strong cross current on the lower end of the slipway on the ebb tide. The White Hart Slip, immediately south of the Red Funnel terminal. Use with caution during ebb tides and when ferries are manoeuvring. Launching on spring ebb tides is not recommended. Bells Landing (not slipway), north of Venture Quays on the Esplanade, East Cowes. This landing is tidal. Grid Iron pontoon, immediately north of the Chain Ferry, is for landing and pick-up only; no mooring. 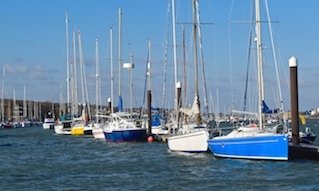 East Cowes Esplanade, a number of slipways suitable for launching small craft, generally without the need for a vehicle, at or around High Water.